As some of us look to put the disappointment of round nine behind us, there are some great investment opportunities with Cairns and Townsville playing the double match this round. Gary Wilkinson has clearly found his form again and took the honours for top scorer this round with 82. Mika Vukona was a solid second with 72, despite people hoping for more after his huge score last round. Other players with the double match round seemed to decide that there was some sort of scoring limit as Daniel Johnson, Anthony Petrie, Adam Gibson and Thomas Abercrombie all scored 54. Mustapha Farrakhan had his NBL breakout game and joined the group of people scoring 54, although he did it from a single match. The big single match highlights came from Steven Markovic and Jamar Wilson as they put on spectacular shooting displays to get 72 and 70. James Ennis got another 50 and is showing everyone how to be awesome and consistent. Gary Ervin managed just 40 points from his two matches and lost over $23K which is a disaster from such an expensive player who many had as captain. Alex Pledger and Kerron Johnson both only got 30, but both had been sliding in form and only hurt those who’d held them hoping for a resurgence. Jarrid Frye was hardly noticed and only got 18 from his two. Chris Goulding continued last week’s slide from grace with a 14. Sam Young got 14 and made all those who traded him in regret the choice. Oscar Forman, also with 14, barely hit a shot and disabused notions that he was about to rocket up in value. Cairns and Townsville have the double matches this round and both offer far more long term value than our double match teams did last week. Cairns play 11 games over the next 7 weeks whilst Townsville has played less games so far this season than any other team making their top players potential keepers. Alex Loughton’s last four weeks have been really impressive and it’s the most consistent I can remember him being. He’s a great option if you can afford his price tag. Jamar Wilson just had another massive score, however half of matches have returned 20 or less so he comes with a touch of risk. Cameron Tragardh has been ok all season and is looking like he could return to his premium status, although he’s currently priced around what his output has been to date. Potential value is on offer with Cameron Gliddon as he rebuilds after his injury. Since he returned he’s yet to have a game where he scores above 20, but it’s probably just a matter of time. That said though, he is incredibly valuable to Cairns simply being on the court and doesn’t need to score big for them to succeed. Stephen Weigh also offers great value as he is so cheap. He’s cheap though because this season he’s been almost completely useless and has only got a double digit score four times in ten matches. However, he has played some great basketball in the past, including this preseason, and if he finds form again he’ll be worth having. Demetri McCamey and Matt Burston have been good without being spectacular and are priced at about what you’d expect from them. Clint Steindl has had patches of good scoring but his price is on the way back down again. Mitch Young looks great on court but has been stuck on minimum price for a few weeks now and not worth it unless you really need cash. Josh Pace has quietly been delivering good scores all season, with the 18 from round 6 his only score less than 28. That’s some nice consistency although his price now reflects it. Worth having for reliable points every week. Steven Markovic started the season slowly but has been steadily improving before having a huge score. Guaranteed to make you some good money and hopefully should have more good scores too. Less safe but still good options include Brian Conklin who smashed out a 42 then a 56 for rounds 4 and 5 and looked like he was ready to boom. Since then he has managed a total of 76 points in four games. He has the potential to go big again but is missing too many shots at the moment. Todd Blanchfield has had some great games this season, but never two in a row, so he comes with a risk attached too. Potential value comes from Jacob Holmes who has been relatively consistent this year and is priced at around his output, although with Russell Hinder to miss a number of games, Holmes is the most likely benefactor and should improve his scores respectively. Greg Vanderjagt could also benefit from Hinder’s absence and is quite cheap. He looked very impressive against Adelaide and whenever he wasn’t being defended by Schenscher it was almost a given that he would score. Avoid Mirko Djeric as he comes back from injury. This also means that Mitch Norton may see less court time, so probably not worth the risk of bringing in now. Also give Peter Crawford some more time to resettle. His -6 from last round shows just how inconsistent his shooting still is. Mustapha Farrakhan certainly turned his form around and is now as cheap as he’ll ever be. The Tigers have a lot more double match rounds in the near future too. Mark Worthington is suddenly tempting too after an exceptional game and a reduced price, but you can probably wait a week before grabbing him (and sorry to anyone who took my suggestion of trading him out). Gary Wilkinson has found his form again and looks a great investment. If you brought him in before the double give yourself a pat on the back, great call. Cheap options include Kevin White who had a good match on the weekend. He’s minimum price and has a breakeven of around 6 for his next two games combined, so he should make you some money. If you want some quick money then dropping Gary Ervin is on the cards. After an exceptional run of games his poor double round means he’ll drop a lot of money over the next few weeks. And he has no double match rounds anytime soon. If you’re still holding Jarrid Frye now is a good time to get rid of him too as he hasn’t scored well in weeks. If you’ve got Russell Hinder then he needs to be traded. Although there’s no definitive time for how long he’ll be out, he’s in his last year of basketball and will be easing himself back into things, meaning low scores once he returns. Nate Tomlinson has probably peaked in price and it looks like a good time to trade him out now. I’d hold onto Chris Goulding though. Despite currently losing a lot of money fast he can easily turn that around in a single game. I’d also consider trading out Alex Pledger. Although he’s at his lowest price for the season, he’s hardly scored in the last four matches and seems to be getting less court time now too. Alex Loughton and Josh Pace are the two standout options here. My inclination is to choose Pace for his consistency, but if Loughton keeps up his current form then he’ll probably be the better scorer. If you don’t have one of those two then, in the order I’d consider them, Cameron Tradgardh, Jamar Wilson, Todd Blanchfield and Brian Conlin all offer alternatives. Steven Markovic could also be a gamblers choice given how red hot his three point shooting was last game. My rank dropped 52 places this round as my star studded line-up failed to deliver, with only Ennis and Pace giving good scores. I expected more from Captain DJ. For extra pain, Pace was on the bench as I expected a lot more from Goulding and Young. I’ll be using two more trades this week meaning it’s looking more and more like I’m going to struggle later in the year. Maybe I’ll petition to get two trades every week like in AFL. Would certainly make the game a lot more exciting as you could play much riskier and trade for points more often. Lock-out is 5:30pm AEDT on Friday for the New Zealand match. 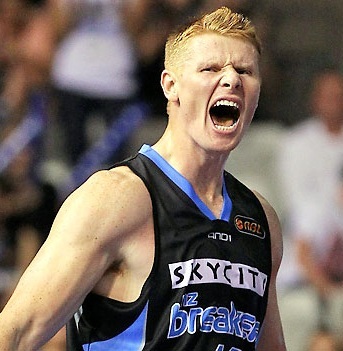 The next preview article will be up in almost two weeks’ time as the NBL has a bye round leading into Christmas. How is My Team Looking? Just Wondering if my Team is Developing well? Your team is looking quite nice, although I’d get Tragardh on court this week over DJ. At some point you’ll have to sacrifice one of your super premiums to upgrade Young/Anthony/White too. DJ is the best to ditch as he has no doubles soon. A trade to a Pace/Blanchfield/Conklin would get you more points and leave you some money leftover (or you could go Weigh/Gliddon type for even more money but risky points). Although trading DJ would force you to leave Tragardh on the bench. Tough one. Should I go Gliddon or Markovic? As regards a couple of your trade comments, the only good thing about White is he has played every game so far, for an av. of 8.6, traded him out last week for Gliddon. Your suggestion to trade out Tomlinson is interesting. At this time I am loathe to trade him, maybe to Markovic, perhaps missed the boat there on price, but more in him do you think? A question Tristan, is it worth the risk playing Gliddon over Goulding. As for me, somehow improved to 127,like to keep my trades this week. As for White, I suggest him as an option if you really need extra cash for another trade. He’s not a keeper and he might add $10K-$30K over the next few weeks, or he might score zero. However if you use the cash you get from trading down to him wisely then it can be really worthwhile. I think Markovic still has a lot of potential. Townsville use him as their playmaker so he usually has the ball in hand, meaning that if he keeps that three shot consistent he’ll become very deadly. And you can absolutely keep Tomlinson. He didn’t get much court time in Melbourne’s last game, mainly because Farrakhan was on fire, so one more week won’t make a big difference to his value and you can see where he sits. I’ve traded him to Farrakhan. As for playing Gliddon over Goulding, that’s a tough question. Goulding is probably keen to score big after a few quieter games so he could go huge. Or he could force his shots and go bad. Gliddon’s a safe option for 30-40, could go bigger, and probably where I’d place my bet. Cheers Tristan, will have a think. Unlike DT or SC not many to bounce off in this game,.. but less is more. 13 Trades left BUT my team is interchangeable for the next 3 rounds so no more trades required. Round after (Cairns/Melb double): Tiggs off for Wilson. If Loughton was off for Walker, he comes back. Hate to look so far ahead but looking to make 0 trades and still have at least 2 players with doubles for the next 3 rounds? I’ll take that, wouldn’t you? You’ve put yourself into a good position to go up. Long term planning is absolutely essential and with a nice balance of Tigers and Taipans you should get some good scores over the next few weeks. Going up for will depend on guys like Loughton and Walker, who aren’t in many teams. scoring well. Looks good James, a plan, with 13 left, you do need hold. Tomlinson to Markovic for me, don’t really like it, but he will make some cash and would seem can score far higher. Similar to James (above) I have set up team with taipans and tigers for next 3-4 weeks, getting Ogilvy back will be main focus before Sydney double.